Narrow width keyseat cutter. KEO narrow width keyseat cutters provide many standard width and diameter combinations to accommodate a variety of milling requirements. ISO 9001:2008 certified. High-speed steel tools are good for most general purpose applications, offering a combination of hardness and toughness for wear resistance. Uncoated tools feature just the base substrate without any additional treatment or coatings and are suitable for a wide range of applications. Round shanks allow use with a wide variety of toolholding systems. When run in a counterclockwise direction (right-hand cut) spiral fluted tools evacuate chips up and out of the cut to reduce clogging. 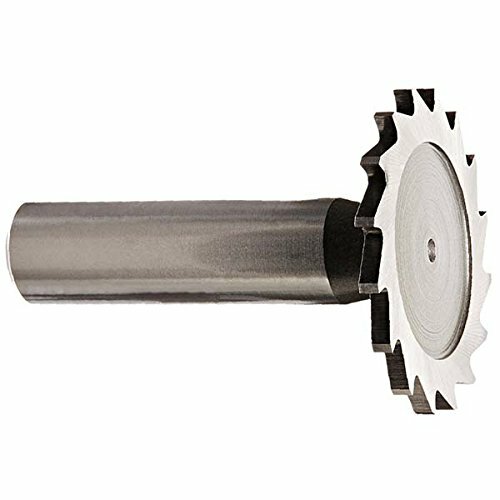 View More In Shank Type Milling Cutters.